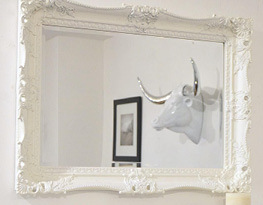 Here at Mirror Outlet, we appreciate that design isn't everything, and the size of the mirror that you are seeking is also paramount in effectively evolving your home's style. Within our product range, we have thousands of different mirror designs that range from sizes of less than 1ft all the way to 9ft. So whatever sized mirror you are on the look out for, you can be assured that there is a mirror below that can enhance the style of whatever room it is positioned in! If you have any queries whatsoever with regards to any of the mirrors that we have available, please don't hesitate to contact a member of the Mirror Outlet team by giving us a call on 01908 223 388. Give the illusion of space by choosing a large wall mirror for your spare room or cater to your clients by providing the perfect sized mirror to suit your salon or business. 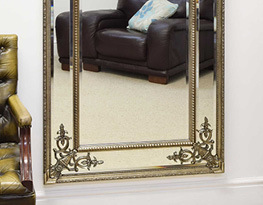 Whichever the preference, here at Mirrors Outlet we offer a range of sizes to choose from. Fall in love with your room again and browse the choice of mirror designs now. 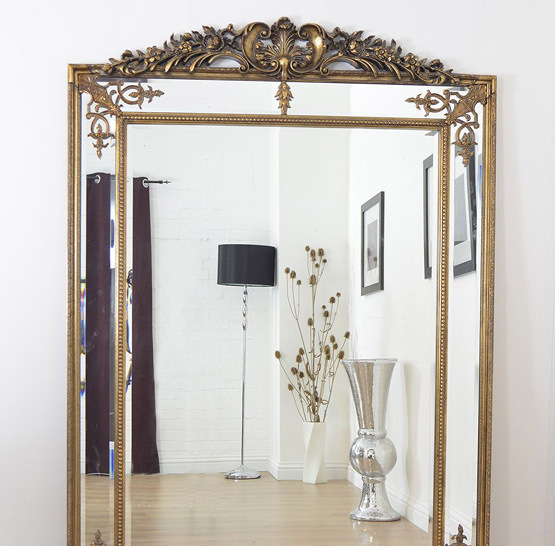 If you need help finding the mirror of your dreams, our team are happy to help, simply call us on 01908 223 388 or message us on live chat. Being restricted to size doesn’t mean we have less choice for you here at Mirror Outlet. Our various sizes still offer a large range for you to choose from and find your perfect fit. We are proud to supply a diverse variety of mirrors which covers all areas, whether its your home or the office, so you don’t need to struggle finding the right one for you. If you need any advice on the best fit mirror for your chosen location or would like to find out more about our range of mirrors, then you can contact Mirror Outlet today. Call us on 01908 22 33 88 and we will answer any queries you may have. You can also contact us online and we can call you at your request.